We are seeking proactive, creative, efficient, and dynamic candidates for our sports & active lifestyle division, which distributes world-class brands such as PUMA. We commit to a friendly and professional work environment. We provide training to develop skill and knowledge among our employees. If you have the winning formula to be successful, we invite you to rise to the challenge! 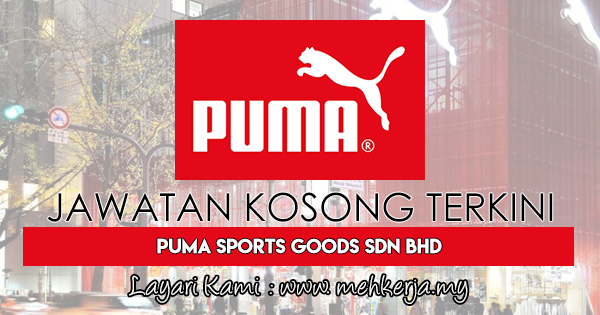 0 Response to "Jawatan Kosong Terkini di PUMA Sports Goods Sdn Bhd - 1 Mac 2018"